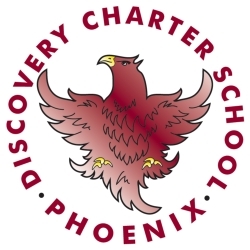 Like most public schools, Discovery asks for monetary donations to support our program, but it’s important for you to know that no child or family will ever be excluded from any school activity due to an inability to pay or lack of participation in the fund drive. While we strive for 100 percent participation in the fund drive, we understand that some families will choose to not participate and for some of our families that this is due to the family’s economic situation. The names of families who do not participate in the fund drive are never made public and are also never shared with teachers or other staff members, including the Director and Executive Director. Enables small class sizes to be the norm at all Discovery schools. Helps fund the program so we can directly support and resources where they are most needed. Fills the financial “hole” in our budget (caused by insufficient state funding). Keeps your school in financial good health. Our goal is to offer a rich and dynamic educational program. We can continue to support our children and community together, thanks to your commitment and your help. Your contribution of any amount is of vital importance and essential for all children enrolled in Discovery Charter Schools.